Christmas is right around the corner (THIS weekend! Can you believe it?!) and everyone is rushing for those last-minute gifts that will impress their friends and loved ones. The shopping malls crazy, packed with shoppers scrambling for gifts, there’s traffic on every road, and stressed-out parents everywhere! It probably sounds better just to stay at home and not fret with malls and toy stores, right? Of course…but where are your gifts going to come from? Don’t worry – we’ve got you covered. One of the best ways to score a win in the gift-giving department is to make the perfect DIY Christmas gift: it’s personal, fun and easy to make, and really shows you care. 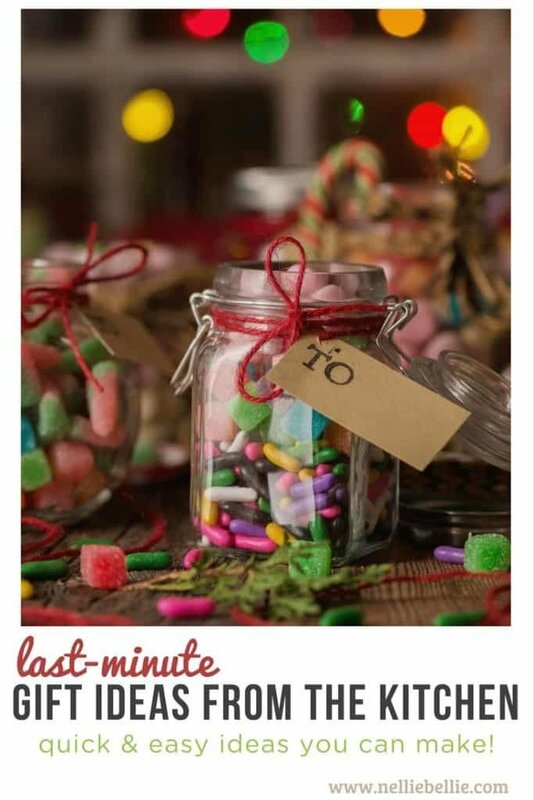 Check out this great list of last-minute gift ideas YOU can make in your kitchen with NO hassle. Take a look at some of the best gift ideas straight from your kitchen below! Coffee lover in your family? This homemade coffee syrup recipe is super easy to make, and there’s four different flavor options: Warm Spice, Peppermint, Caramel, and Maple Vanilla. A simple DIY Christmas gift like this is sure to be a new favorite with your coffee lover friends and family. 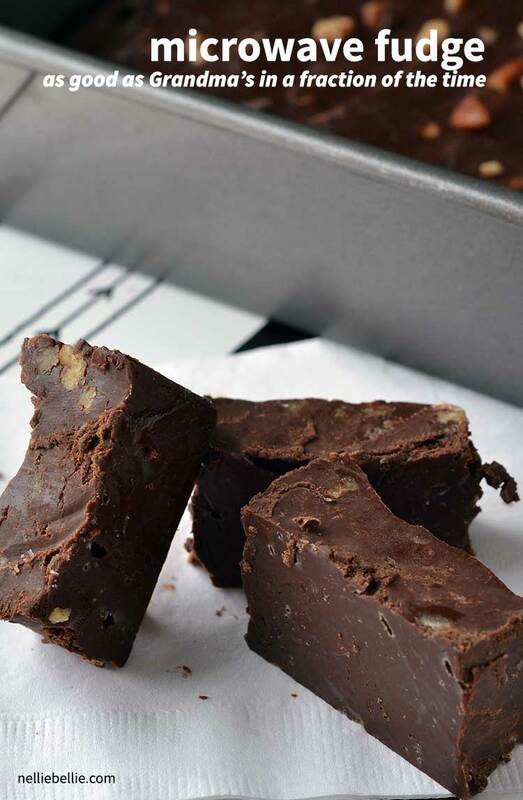 This killer 3-ingredient microwave fudge recipe is… yes…AS GOOD as Grandma’s fudge! Sure, that may be a steep claim, but go ahead and try it for yourself. Gift this easy-to-make fudge to any chocolate lover in your life, and watch them fall in love! Add an extra-special touch by packaging the fudge in a cute container and you’ve got a great homemade gift. We all know someone who’s obsessed with tea! 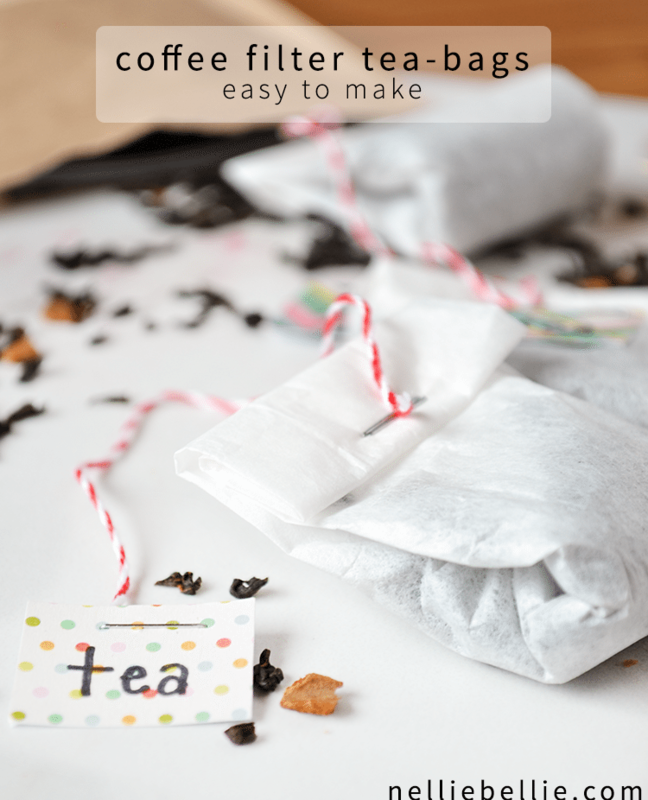 These DIY tea bags are easy to make, safe to use, and very useful especially if you have a favorite loose leaf tea. This gift can be perfectly paired with a cute tea infuser or a special coffee mug for someone who loves a nice cuppa tea in their lives! 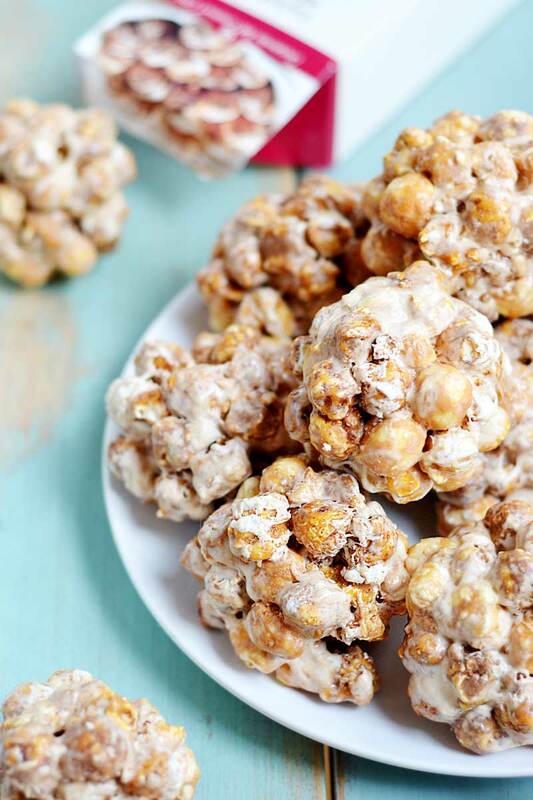 These popcorn balls are SUPER simple to make because you can use prepared popcorn (try Tastefully Simple popcorn – but you can use any brand or flavor you prefer!) and only require marshmallows and butter. This is an awesome DIY Christmas gift your kids can help make and they’re great for holiday party snacks, too! I don’t know about you, but I know lots of people with iced coffee cocktails on their wish list. If you know someone like this, these adorable iced coffee cocktail kits are the perfect DIY Christmas gift! 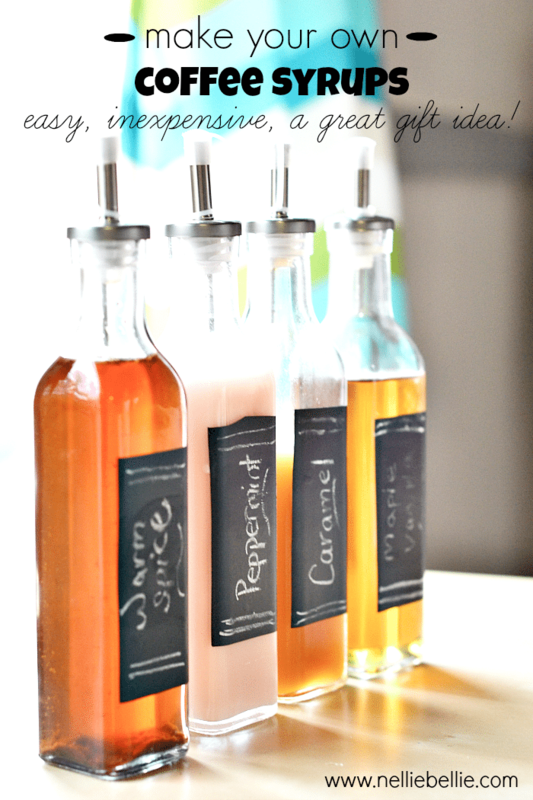 Get a little crafty and make an awesome personalized gift for your cocktail-loving friends. 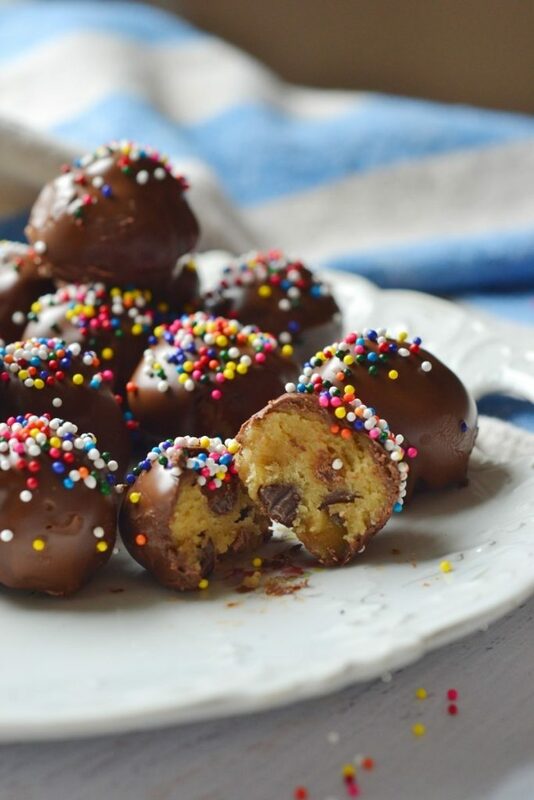 You can’t tell me that these chocolate chip cookie dough truffles don’t sound AMAZING. Good news is, they ARE! And they’re super easy to make. All this recipe requires is the best cookie dough recipe ever (seriously) minus the eggs (sub out eggs for a little milk). These truffles are great for pretty much anyone: chocolate lovers, cookie lovers, kids, adults… You name it! 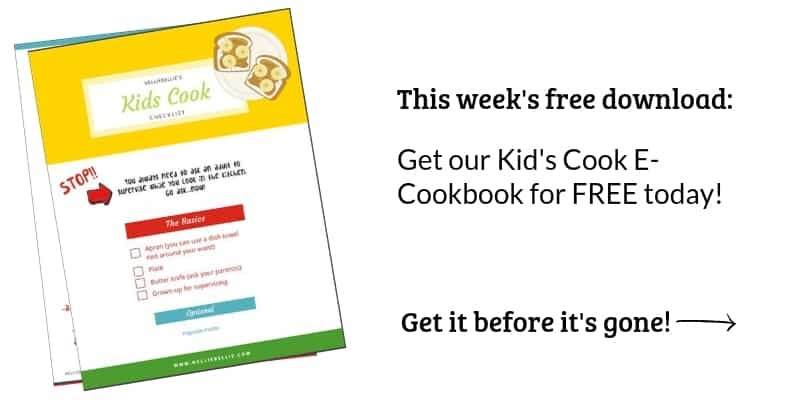 The bonus is that you can use ANY cookie recipe for a variety of flavors! If we’re on the theme of cocktails, let’s talk margaritas. This simple mix is perfect for parties and it’s WAY better than the store-bought mix. 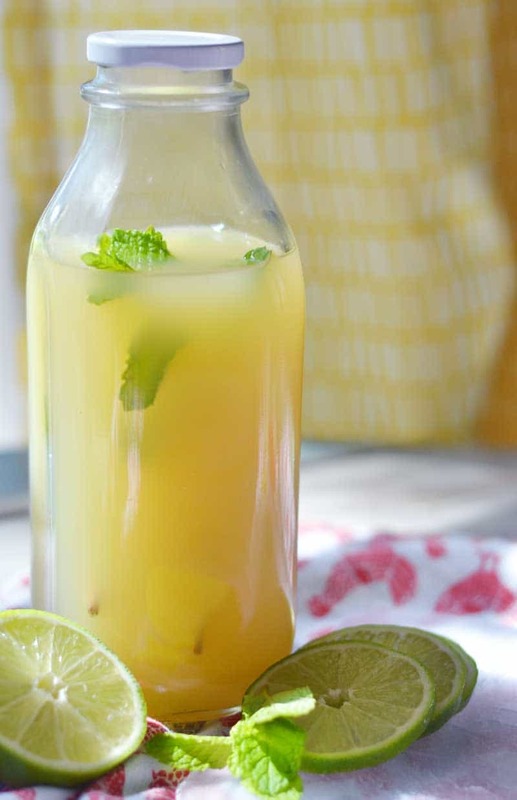 Sugar, water, lime juice, and some fresh mint are all you need to create a lovely bottled margarita mix that you can gift to friends and family who know how to have a little fun. For packaging, you can use recycled bottles, dressed up with ribbons and customized tags for a perfect DIY Christmas gift. Pesto is a great addition to any kind of pasta, so it’s this homemade version is the perfect gift for someone who likes to get crafty in the kitchen! This recipe is super easy to make and you can even use spinach that’s past its prime. 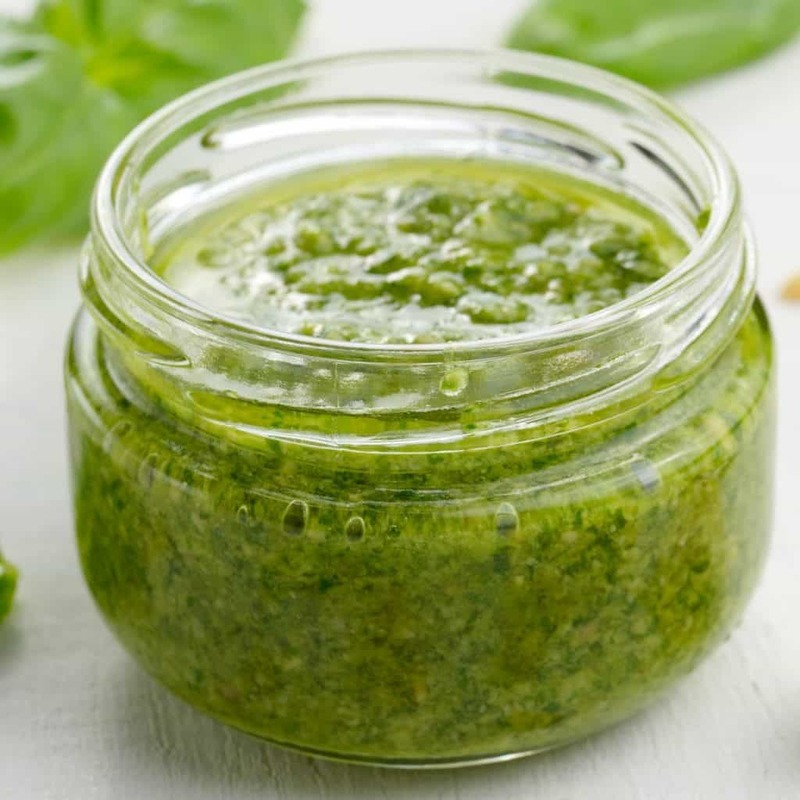 Rather than throwing it out, whip up this awesome pesto recipe and jar it up for a nice, thoughtful gift for that pasta lover who is always looking for MORE things to mix with some noodles! 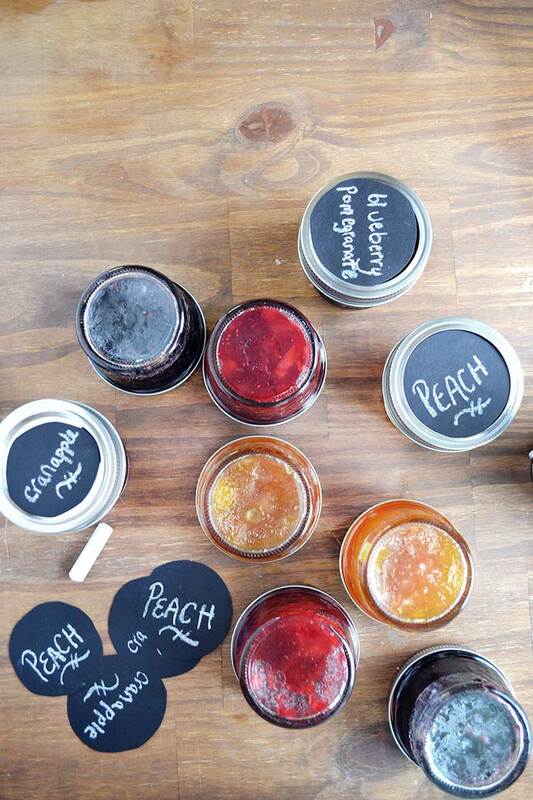 Homemade jams don’t have to be an intimidating task anymore. Frozen fruit and sugar are the ONLY two ingredients you need to make this awesome jam – which makes a perfect gift for the holidays. 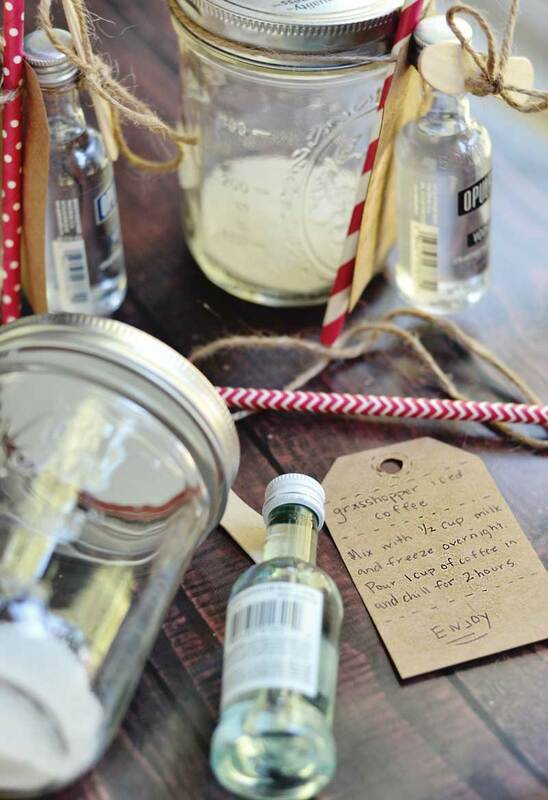 Use mason jars and fun holiday ribbons, cute customized tags, and other crafty additions and you’ve got yourself a DIY gift that friends and family will love so much they’ll beg for the recipe! Once you make this bread the first time, you’ll be making it all. the. time! 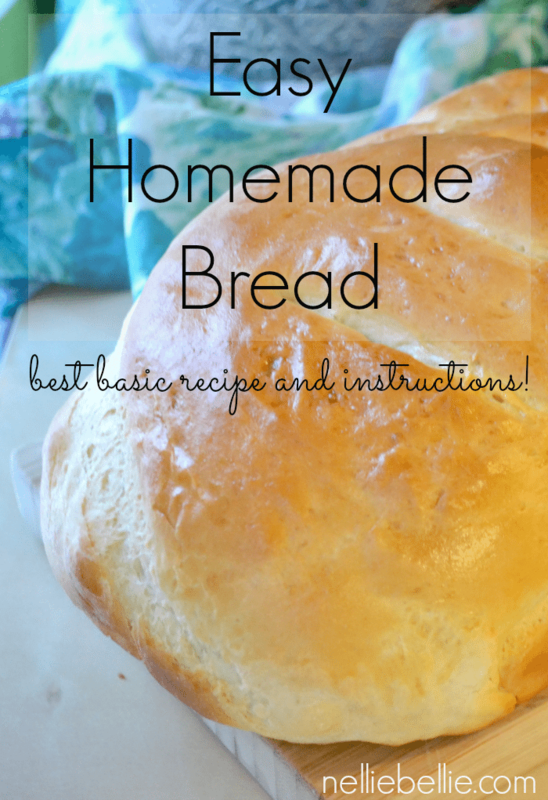 It’s easy and delicious, and who doesn’t love warm homemade bread? This recipe includes tons of tips for first-time bread makers. If you want to gift this bread, you can include the recipe with a beautifully packaged loaf and share the love. This is the perfect pasta recipe to gift to a first-time homemade pasta maker in your family. With all the tips and tricks included, it makes the process WAY less intimidating and much easier to handle! This recipe comes with creative and useful ways to store the pasta once it’s made, which can also make gifting a breeze! 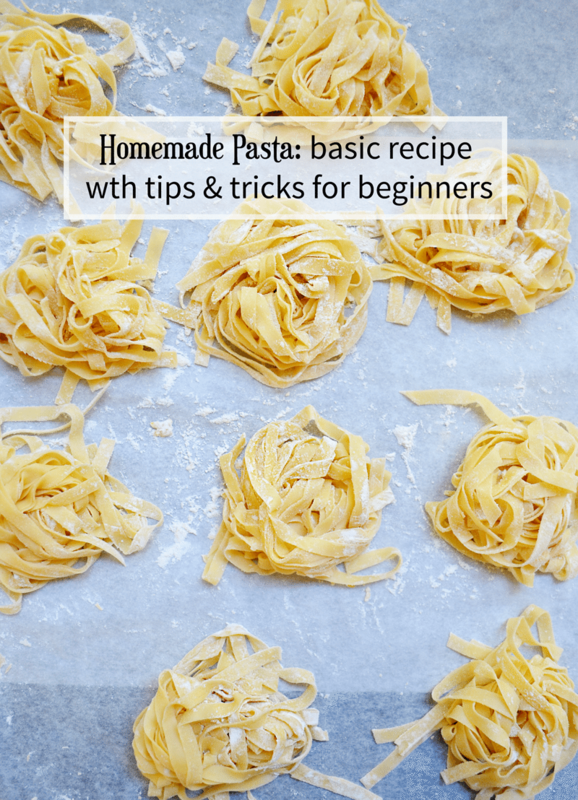 Whether you want to just share the recipe or make a batch for a friend or loved one, this homemade pasta recipe is great for beginners and totally shareable! These honey cacao caramels…bite-sized goodness that’s hard to beat! They are just the right amount of sweet and a little crunchy – cacao nibs make for the perfect addition for that yummy crunch! 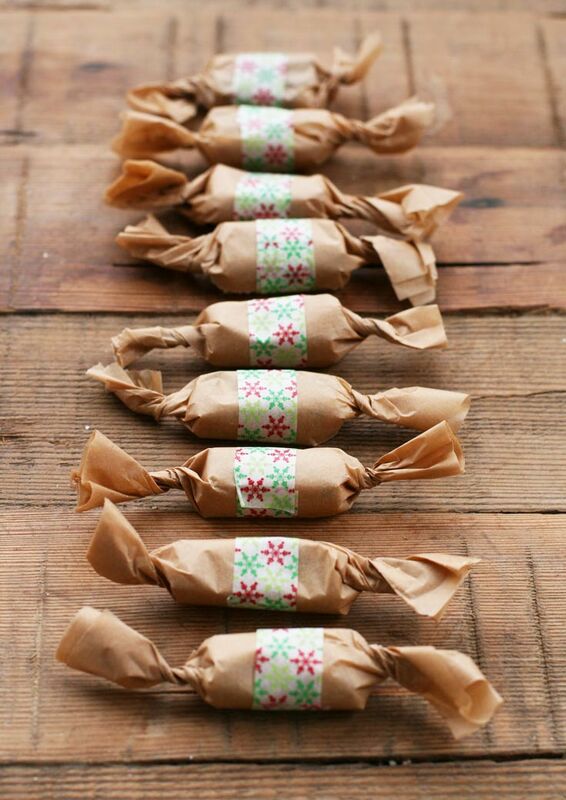 Top off this cute gift with parchment paper and some decorative tape and you’ve got a DIY Christmas gift bound to be a new favorite. This round-up of quick, easy, and creative DIY Christmas gifts makes the perfect last-minute list for anyone in need of an awesome present this holiday season! You have just enough time to gather the ingredients and get cookin’! Feel free to share your stories with us; tell us how your variations turned out and if your friends and family loved your gift – leave a comment below!